Chinese director Jia Zhangke hopes his new film festival will be as much an attraction for tourists to Pingyao as the ancient heritage city. The onset of colder weather in late October usually marks the start of low season for tourism in the Shanxi heritage city of Pingyao, but a new film festival opening there has just changed all that. Pingyao, China's best-preserved ancient walled city with architecture dating back to the Ming Dynasty (1368-1644), was designated a UNESCO World Heritage site in 1997. 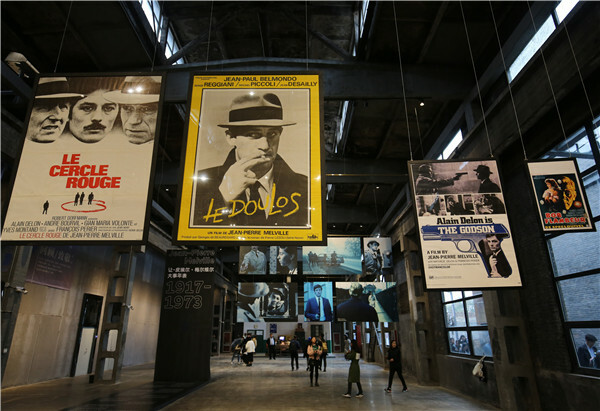 The first Pingyao International Film Festival, organized by acclaimed Chinese director Jia Zhangke, has reignited a buzz in the city by throwing open its doors to filmmakers from all around China and the rest of the world. In the festival, running from Oct 28 to Nov 4, Jia and his team have selected more than 40 new films from 18 countries and regions. "More opportunities have been made available to young filmmakers," says Jia. "Creativity in young talent is the key." Jia, 47, jokes that his mental age is 27, and it is this that helps him maintain his creativity. With this in mind, Jia has created a segment at the festival dedicated to screening works by young filmmakers－with many of them making their international big screen debuts there. Jia has given the segment the title of "Crouching Tiger, Hidden Dragon," after Ang Lee's Academy Award-winning movie. The director says strict standards were maintained during the selection process for entries to the festival, which were deliberately limited to a relatively small number. Marco Mueller, Italian filmmaker and former artistic director of the Rome, Venice and Locarno film festivals, has been appointed artistic director for the ongoing event. He has been a longtime proponent of Chinese cinema in the international arena.